Visa this week delayed by three years a deadline for fuel station owners to install payment terminals at the pump that are capable of handling more secure chip-based cards. 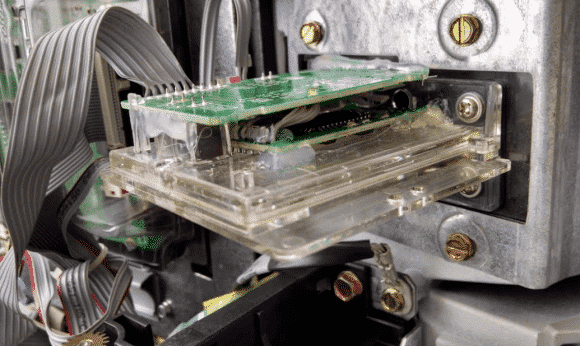 Experts say the new deadline — extended from 2017 — comes amid a huge spike in fuel pump skimming, and means fraudsters will have another three years to fleece banks and their customers by installing card-skimming devices at the pump. If they’re going to push this all the way out to 2020, let’s skip the credit cards and move straight to Apple and Android Pay. I can’t remember the details of the protocols (I’ll look them up) but I’m pretty sure Apple Pay at least does mutual authentication during the transaction, so I think skimming will be far more difficult. Credit cards are ancient. It’s a series of numbers that you buy things with, and people can steal those numbers. It’s insanity. Let’s start phasing them out instead of modernizing to new, updated, and still flawed versions. First to a mobile pay (hover) model, and eventually to a completely transparent (Uber) model. I know we will have to have a transition period, but let’s hope that’s what they see it as, and aren’t thinking cards are still the future. At this point I’d drive across town to use an Apple Pay pump, and I think many people would do the same. Now if we can just get rid of the 13 upsell attempts and video ads that come before the actual payment.